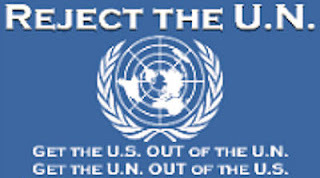 By The Political Commentator, GOPUSA As the Middle East burns, the United States has dug its own hole! The premise has been discussed ad infinitum in this blog that insanity is relying on your enemies for anything, let alone for critical resources. Whether it is China for money and REE or the Middle East for oil, we have made our bed (with much of the bedding supplied by far-left organizations and their lobbying victims) and we all now have to lie in it. But you know, it didn't necessarily have to be this way. This truth is presented in a 2009 report from the U.S. Senate Committee on Environment and Public Works titled "CRS: AMERICA'S COMBINED ENERGY RESOURCES LARGEST ON EARTH" (H/T that this report exists to Yid with Lid). This story was told in a memo released at that time by Sen. James M. Inhofe (R-Okla.), Ranking Member of the Senate Committee on Environment and Public Works, and Sen. Lisa Murkowski (R-Alaska), Ranking Member of the Senate Energy and Natural Resources Committee. The findings were that "America's combined recoverable natural gas, oil, and coal endowment is the largest on Earth"
The problem was and continues to be that special interest groups have co-opted the government through one of the roots of political evil, money. This has prevented Congress from taking the common sense steps necessary that would have allowed the United States to become energy self-sufficient. If not completely self-sufficient then a hell of a lot more than we are now. The proof of this fact lies in this one sentence from the report: "America's recoverable resources, Congressional Research Service (CRS) shows, are far larger than those of Saudi Arabia (3rd), China (4th), and Canada (6th) combined. And that's without including America's absolutely immense oil shale and methane hydrates deposits." That's right, greater than those countries combined! Instead of taking advantage of that fact our government, directed in no small part by far-left special interest groups, has stopped this potential for energy self-sufficiency at every turn. President Obama has even gone so far to place a moratorium on Gulf drilling due to the BP accident. Alaska has been placed off limits, drilling off the U.S. coast is off limits and pollution controls that few other countries even have limits our ability to use coal. Nuclear power? Forget about it. Three Mile Island took care of that although many countries, including France currently use it for a majority of their power needs. America, we have dug our own hole! You and I didn't do the digging. That was done by politicians whose only goal once in office is to stay in office. These are the people that are beholden to these very special interest groups that have helped to put us in this predicament. Do you know what else? The politicians in Washington will be able to handle $5, $6 or $7 a gallon gas at the pump with the expense accounts that the taxpayers provide. Many of them are wealthy in their own right and will still tell you that they understand your pain. But they don't! They understand one thing and one thing only. Pandering to deep pockets to stay in office. And that goes double for our President. That's right America! We dug our own hole with more than just a little help from our "friends!" Tags: Oil, gasoline, prices, government report, high prices To share or post to your site, click on "Post Link". Please mention / link to the ARRA News Service. Thanks!